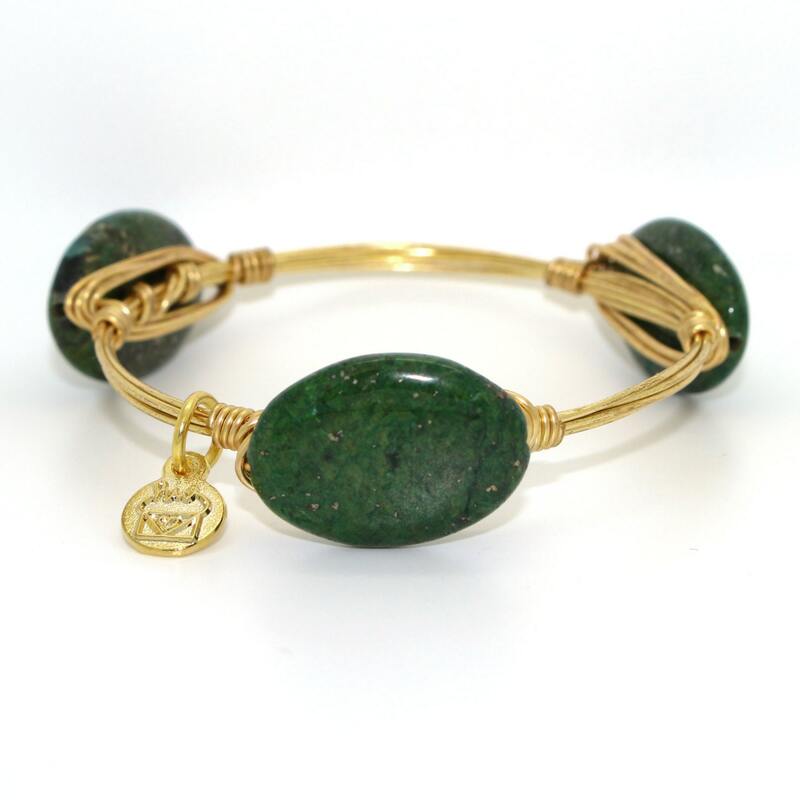 This handmade, wire wrapped bangle features copper jasper. The stones are a beautiful dark green with copper flecks. 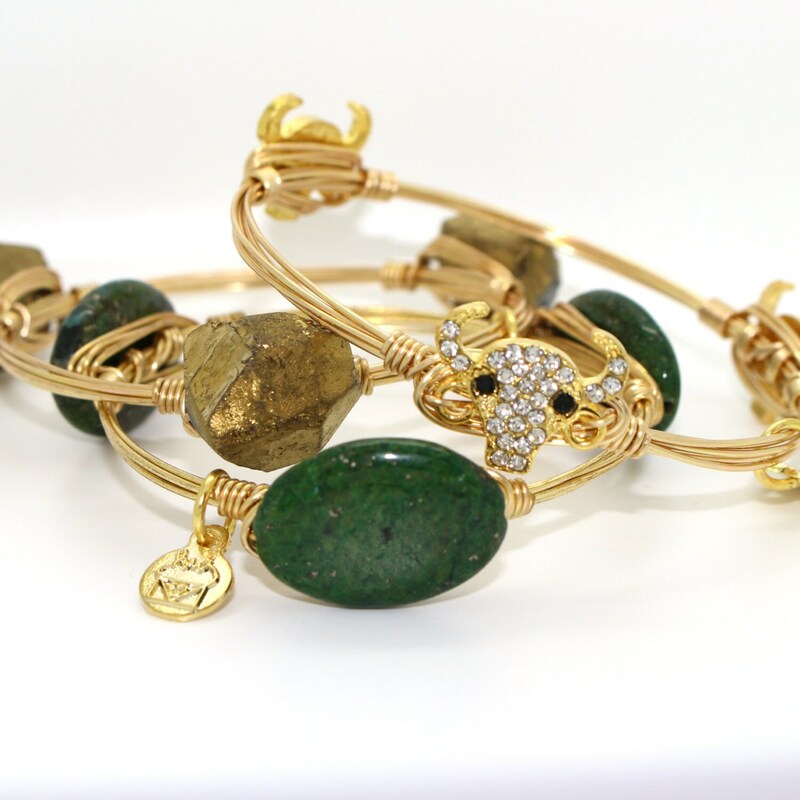 Show your team spirit by stacking this bangle with other bracelets in your team's colors. I have this one featured in a University of South Florida stack in the second picture!